Warning: this post about crowdsourcing content might get you engaged, invested and just plain excited about my forthcoming book. That’s right, I’ll admit it upfront: I began learning all about crowdsourcing content in order to promote “1000+ Online Content Ideas for Your Business”. However, the more I dug into crowdsourcing content, the more I learned about this content marketing approach. In fact, I found so much useful info, and examples, on the Web that I got excited about sharing it here with you. So that’s just what I’m going to do. Simply put, crowdsourcing content is the act of asking folks outside of your company to create content for your brand. Simply put, crowdsourcing content is the act of asking folks outside of your company to create content (text, images, videos, audio) for your brand. You can find lots of great examples of how to use this approach online and I’ve shared a bunch in the links below. The crowdsourcing approach is different from hiring a specific agency or some other outside company in that the folks you are asking to create content are typically loosely affiliated with your business. They can even be, and often are, your own customers. Your reasons for crowdsourcing content can change each time you do it. There are plenty of advantages to crowdsourcing content and your reasons for using the approach can change each time you use it. Engagement – I want folks to become aware that the book is on the way. Investment – I want folks to feel that they have contributed to making the book more useful for both them and others. Excitement – I want folks to look forward to getting their hands on the book because it will be useful to their business. To achieve my objectives, I created a crowdsourcing contest. To achieve my objectives, I created a crowdsourcing contest that enables potential readers to submit the industry or business type for which they want me to create online content ideas. The industries or business types with the most entries will be featured in section 7 of the book, the one that focuses on online content ideas that can be used by specific industries and business types. In other words – this is their chance to have me provide them with content ideas specifically tailored to their type of business! Pretty exciting, eh? However, the whys and hows of crowdsourcing content go well beyond my humble contest so, without further ado, here are a ton of links to great online resources for learning more. 5 Ways Crowdsourcing Improves Your Content Marketing – excellent post on the basic benefits of using content crowdsourcing. The Pros and Cons of Crowdsourcing – great post that dives a bit deeper than the one above. Crowdsourcing Content to Drive Brand Engagement – I found the statistics quoted in this post to be compelling. 4 Suggestions for Building User-Generated Content – some actionable ways to implement content crowdsourcing. The Lean Nonprofit: 3 ways to crowdsource new content - focuses on using the content crowdsourcing approach at a non-profit. 4 Fun Ways to Get User-Generated Content on Your Website – user generated content is another name that can be used for content that you crowdsource. Not all user generated content is obtained by crowdsourcing, but all crowdsourced content is user generated. Crowdsourcing by World’s Best Global Brands – check out this awesome collection of content crowdsourcing examples that I found online. When Co-Creation Becomes The Beating Heart Of Marketing, Companies Win – some good examples in this post. Crowdsourcing + co creation – a Pinterest board with links to content crowdsourcing examples. Zooppa – Here’s a great platform on which to run a contest for crowdsourced content. Do you know of any others? Share them in the comments below! Have you tried crowdsourcing your content? Tell us about it! Have you tried crowdsourcing your content? How’d it go? I’d love to hear about your experiences, both positive and negative, in the comments below! Do you have a favorite example of content crowdsourcing? Go ahead and share them as well! How to Find the Keywords that Work for Your Content Marketing Goals: SEO aside, keywords are an important part content marketing because they help you measure your the interest in specific topics online. 5 Content Marketing Tips That Will Help You Beat the Competition: Good, basic tips in this post. The Top 6 Reasons You’re Failing at Content Marketing: Thought-provoking post that will help you get the most out of your content marketing efforts. It’s time to update your content marketing strategy for Facebook! : A good update on how, and why, to focus you content marketing efforts on Facebook. 11 Reasons Why Prospects Don’t Convert Into Customers: Using content marketing to drive targeted traffic to your site is only the first step. Once folks are on your site, you need to convert them into customers. Here are some tips for doing just that. Is Your Content Marketing Strategy So Boring You Fall Asleep? : Honest, straightforward steps for creating effective content. Which Comes First: Content Marketing Or Thought Leadership? 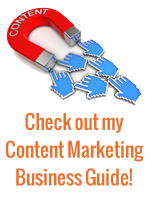 : Read this post to learn why it’s the content of your content that matters most. Your Content Strategy Should Not Be Real-Time: Good post on the importance of having a content strategy in place. Is Viral Content Marketing Only For ‘Fun’ Niches? : A look at viral marketing for “boring” businesses. Where Do Webinars Fit in a Content Marketing Strategy? : Webinars are a valuable content marketing tactic – learn how to use them in your efforts.  This is a great concept, Matt and your post is the first of me hearing about it. I’ve now got some additional ideas sprouting as to how to further enhance the value of my up-coming product. Thanks for sharing your finding with us; I wish you the best of luck with your book launch! Ti – so glad I was able to introduce you to this awesome approach! If you do use content crowdsourcing, let me know about your experience – perhaps it would make a good story for the crowdsourcing chapter of my book! Hey Matt. As always, great content. “Crowdsourcing” is still a term that misunderstood, but your post makes it crystal clear in relating to content publishing. I currently oversee a Leading Expert Partners Program for Construction Connection whereby “leading experts” produce knowledge-based articles that brand them as “experts” in their subject matter area, as well as allow them to professionally promote products and services. Our job is to provide them online visibility and a brand marketing platform. This seems to fit your description in specific ways. It’s a rewarding way to share resources and yet “give back” to construction industry companies and individuals trying to build success. Thanks also for your example of how to successfully crowdsource content! Nothing gets a point across better than a real-world story. Matt – hello again. Your post resonated, then inspired me. I just used it, extensively, to create a content challenge for our team around many of the ideas from the links. The days ahead ought to be interesting…. I would love to her more about it for the crowdsourcing chapter in my book. Let’s set up a time to talk. The more I dug into crowdsourcing content, the more I learned about this content marketing approach. I share what I found, and plenty of examples, in this post….